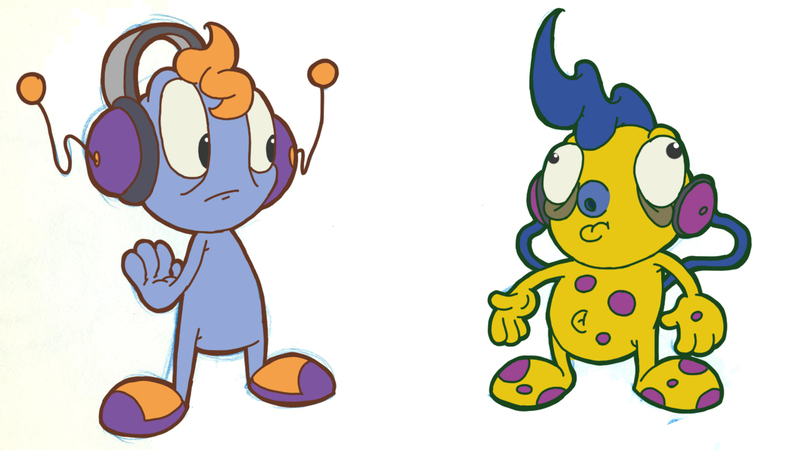 Here are some more refined character designs for the little guy and the meteor guy:D.
i wasn't too happy with he previous character design of the little guy so i decided to give him some sneakers and little dial things on his headphones. I'm actually quite happy with his new design and plus i can play about with his colours when the music starts overtaking his mind. The meteor guy on the right there is in the start of the animatic and is attached to the meteor. I decided to make his design a bit more flashing than our main character to show that he is from another world. I decided to give him a set if earphones to keep the music theme within the characters.